Hugh Thomson has spent many years travelling through and writing about Peru, Mexico and the Indian Himalaya but turned his attention, this time, closer to home. Travelling along the Icknield Way, he passed the great prehistoric monuments of Maiden Castle, Stonehenge and Avebury, before ending at the Wash near Seahenge. His journey took him through Jefferies Land and Liddington Castle. 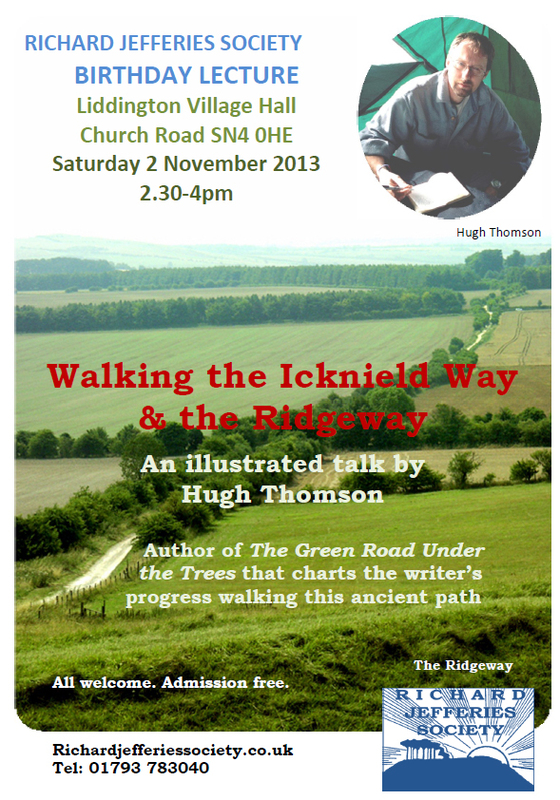 Hugh will take us on an exploration of our local ancient landscape along a 400 mile journey from coast to coast. In his book, Hugh casts unexpected light – and humour – on the way we live now. Copies of the book will be available to buy on the day that Mr Thomson will be pleased to sign.